but is ‘Dancing With Smurfs’ going to be the most expensive flop ever? The story of Avatar – the new film from Titanic director James Cameron, and reputedly the most expensive ever made – will ring true to anyone who has ever felt so much as a twinge of guilt about their own carbon footprint. It is the 22nd century and Earth has run out of its natural resources. It is now little more than a desert, without vegetation, wildlife or minerals. But a newly discovered planet, Pandora, is a lush, exotic world which possesses everything we need, so a ruthless mining corporation hatches a plan to strip it bare and save the Earth while making billions for themselves. Cameron himself is convinced cinema-goers will want to see it at least four times – hopefully quadrupling its box office potential. ‘People will see the movie because they are curious,’ he says. ‘Then they’ll go back to make sure they saw the fantastic things they thought they saw. Certainly, the Hollywood executives who bankrolled this sci-fi juggernaut laden with 3D effects are hoping that Cameron’s optimism is well placed. 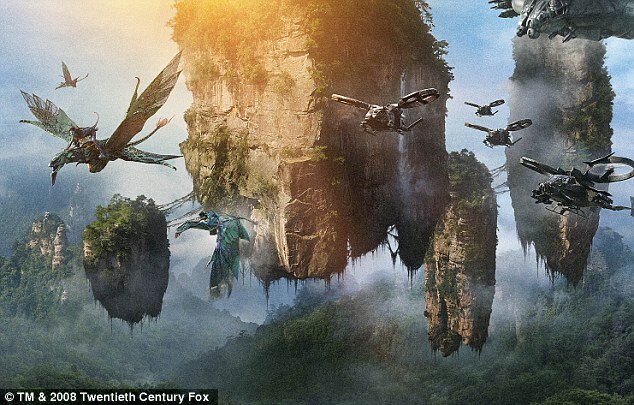 For although the Fox studio indicates that Avatar cost around $180 million – some $30 million more than Cameron’s previous epic, Titanic – Tinseltown gossip says the true cost was a staggering $300 million, thanks to re-shoots and Cameron’s constantly changing ideas. It’s no wonder that everyone connected with movies is waiting to see what the box office figures look like when Avatar comes out on December 18. Some believe a movie about an alien culture of giant blue humanoids can never make a profit, while others think it will save the film industry from the threats of DVD piracy and static ticket sales. Someone, rather unkindly, has dubbed this long, po-faced epic Dances With Smurfs, after Kevin Costner’s over-long po-faced epic Dances With Wolves. Is Cameron’s ambitious project likely ever to recoup its investment? Titanic, which cost around $150 million to make, was forecast to be a massive flop. And the prediction, when the film came out 12 years ago, was that it was going to lose at least $60 million at the box office. In the event, it was the most lucrative film ever released, making a staggering $1.1 billion and winning 11 Oscars to boot. Critics may have carped about Titanic’s hackneyed storyline and saccharine sensibility, but it was a globally loved phenomenon. It personally enriched Cameron – a five-times married movie obsessive with a reputation for throwing the shoutiest tantrums in Hollywood – by an estimated $60 million. So why has Avatar, which has its London premiere next week, cost so much to make? It is Cameron’s first feature film since Titanic and the price tag mostly reflects the fact that he wanted to make a photo-realistic sci-fi epic film in 3-D. This ‘live action’ epic is about two-thirds computer generated and one-third real, and uses the most advanced motion capture technology. There are only 37 cast members – all unknowns except for Sigourney Weaver – but there is a roll-call of thousands of digitally-created characters. Much of the technology was created just to make the filming possible, and Cameron says his team had to invent dozens of new techno-phrases to describe the processes involved. In fact, when he came up with the idea for Avatar 14 years ago, he was told it was an impossible dream, because the technology needed to make it come true didn’t exist. The project was conducted with Cameron’s customary mania for perfection, using close-up cameras so sensitive they could detect muscles moving under the skin of the actors’ faces. Each shot was captured by up to eight cameras simultaneously and the images were then turned into aliens. The final effect is said to be so convincing that you could be looking at actors in make-up rather than digitally created beings. And every scene had to be shot twice on 3D cameras to make the film work in three dimensions. The film’s production designer, Rick Carter, says the created reality is vital to the success of the film. ‘The real challenge is whether you feel the emotion coming through from the characters. It was Carter’s job to create the fantasy planet Pandora, according to Cameron’s specifications. One of the many spectacular features is that the planet lights up at night. Cameron had seen a bioluminescent world when he was deep-sea diving during the making of Titanic, and so, for added realism, hired a professor of plant physiology, Jodie Holt, to help create the plant life on Pandora, which had to be toxic to humans but support vegetation. Another academic, Professor Paul Frommer, of the University of Southern California, was paid to create a language for the tribe of 10ft tall blue aliens, called the Na’vi, who live on Pandora. The Na’vi language as he created it has more than 1,000 words, with a grammar of its own. The actors even had a voice coach, the renowned Carla Meyer, to help with pronunciation. Frommer hopes it will have ‘a life of its own’ in possible prequels and sequels and that fans of Avatar may even trouble to learn it, as some Star Trek fans have studied the Klingon language. A Na’vi dictionary is already available online. 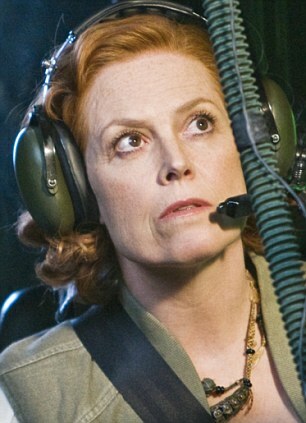 Meanwhile, Sigourney Weaver is at pains to point out that the film will appeal to a much wider audience than sci-fi fans. Because humans cannot breathe on Pandora, the SecFor mining company which sets out to pillage the planet creates human-alien hybrids, called Avatars. The hero, Jake Sully, played by Australian actor Sam Worthington, is a paraplegic former Marine who volunteers to take part, blissfully unaware of the corporation’s plans to steal Pandora’s resources. However, Jake is accepted into the Na’vi world, and falls in love with Princess Neytiri (Zoe Saldana). He learns to respect the Na’vi culture, which puts him at odds with SecFor, as they gear up to assault and take over Pandora itself in a massive final battle scene. Worthington’s take on Avatar is simplistic. ‘It’s a great film, and a story that isn’t so far-fetched because we all know that we’re bleeding our planet dry. Maybe it will make people realise that Earth needs saving from itself before it’s too late. Some critics say it’s a ‘horrible film’ – overinflated, hard to watch and ridiculous. There are also complaints that the Na’vi just don’t work cinematically and that it’s all a shade absurd. But Leo Barraclough, of the entertainment industry magazine Variety, says he doesn’t think such brickbats will affect its commercial appeal. ‘It is one of the most anticipated films of recent years and I don’t think it will much matter what the critics say. 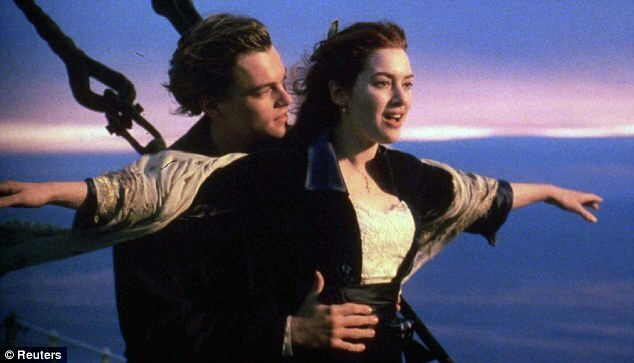 ‘It is 12 years since Titanic, and James Cameron is a big movie maker, so people are going to want to see it because of that. More than one million people have logged on to the online trailer, and ticket presales are apparently phenomenal. 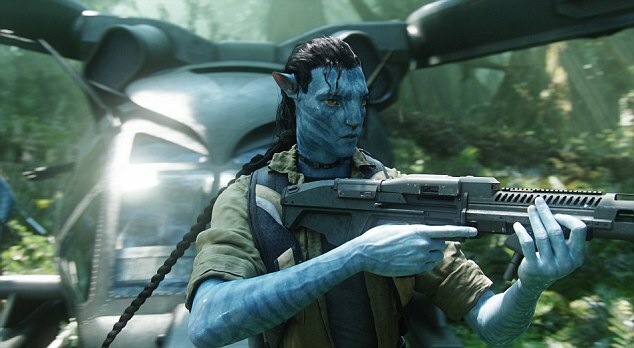 Rather unusually, Fox has sought to whet public interest in Avatar with special showings at IMAX cinemas around the world of a 16-minute extended trailer. The marketing assault includes product tie-ins with McDonalds and the Coca-Cola Company, who are Fox’s promotional partners: Coca Cola, for example, has produced 140 million cans of Coke Zero which, when held up to a webcam, will show a helicopter taking off. Action figures and vehicles are being made for the global market by Mattel. They all contain i-Tags which show content and info when held up to a webcam. And a video game in 3D is already on the market. It’s all very clever, but will Avatar make its money back? Whether it’s $180 million, as the studio says, or $300 million as the grapevine has it, the film still needs to sell a lot of tickets. To put this into context, big effects-laden movies such as Spider Man 2 and Pirates of the Caribbean cost around $150 million to make. Fox, however, is able to stay calm about its financial exposure – because the costs have been split with two other investors. Dune Capital Management and Ingenious Film Partners are paying for about two-thirds of the production costs. And Fox will also get a 15 per cent tax rebate from New Zealand, where all the live-action sequences and most of the effects were done, which is expected to return around $15 million. Cameron has agreed to delay his profit participation until Fox and its investors recoup their costs. Perhaps he is so confident because Avatar will benefit from the higher ticket prices charged by 3-D theatres. There are high hopes that it will help to continue the 3-D revolution, which is bringing audiences back into cinemas, and that it will push the sales of Blu ray discs next year when it is released. 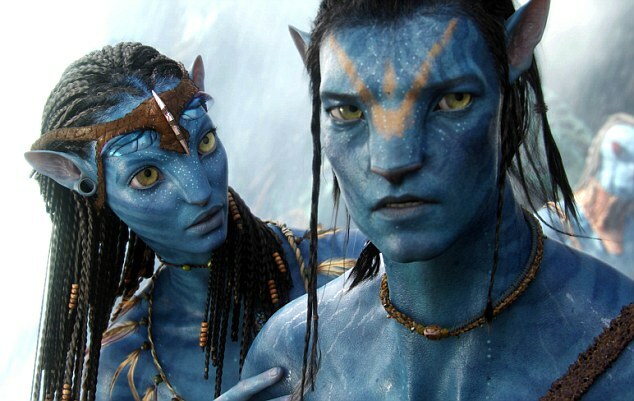 Fox’s co-chairman Tom Rothman describes Avatar as ‘a creatively ambitious movie that is fiscally prudent’. It’s clear that he is already thinking about a sequel. ‘When you can move the popular culture, particularly with something newly created, that’s a path to tremendous success,’ he says.